Owen Frederic Rhaburn was born in Crooked Tree Village on April 12, 1928, the third child of John and Edith Flowers Rhaburn. He attended the Crooked Tree Baptist School and church. After completing primary school he went to work along with his father in his farming and chicle operations. Rev. Owen Rhaburn, a beloved husband and pastor served the Crooked Tree Village community well. He was a leader and centerpiece in the community officiating at many weddings, baby christenings and funerals. He was very committed and he touched many lives in the village. Pastor Rhaburn was a man of character, upstanding in our community and an incredible man of God. The year 1957 was a very important one in his life. In June he accepted Jesus Christ as his personal savior. And on August 3rd he took Maggie Crawford as his wife and there a month later, on November 3, the Reverend Michael Marrith baptized him and his wife on the profession of faith in Jesus Christ. He was subsequently admitted into the membership of the Crooked Tree Baptist Church. He served in various capacities of the church including that of deacon. 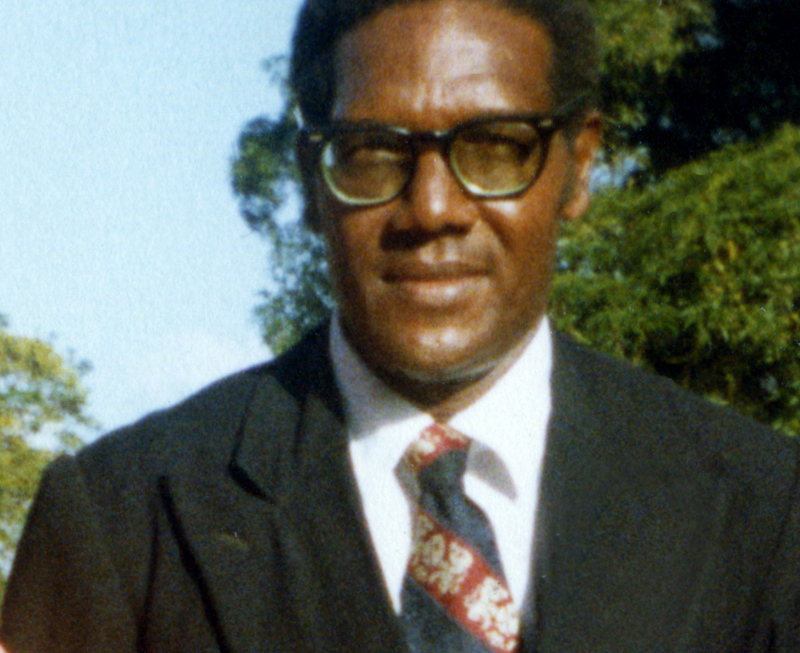 The Reverend Arnold Pearson Superintendent of the Baptist Mission and Pastor of the Queen Street Baptist Church assumed pastor ship of the Crooked Tree Baptist Church. He retained pastoral responsibility while delegating most of the operational functions of the Crooked Tree Church to the then Deacon Rhaburn. While serving in this capacity, the position of pastor became vacant and he was appointed provisionally as the pastor of the Crooked Tree Baptist Church in 1964. With the support of Pastor Pearson and the Baptist Church Mission he enrolled in several courses of studies. In 1970 he graduated from Moody Bible Institute with a Diploma in Theology. He subsequently did a post-graduated study and was awarded certification in ‘Sermon Buildings” and “Church Growth”. In 1968 Pastor Rhaburn left Crooked Tree Village for the Stann Creek Valley Community to serve as pastor of both the Light of the Valley and Stann Creek Town Baptist Churches. He served in that district from 1968 to 1971. In 1971 he returned to Crooked Tree and resumed his position as pastor of the CT Baptist Church. He served in that capacity until his retirement in 1998. It is with great sadness and heaviness of heart that we announce the death of our beloved Pastor Owen Rhaburn. He wrestled long and hard with much pain and illness, and the Lord decided it was time to take him home. He passed away peacefully on December 23, 2011 at 7:30 p. m. with his loving wife Maggie Crawford Rhaburn at his side. He is now in a place of vast beauty, having passed through the valley of the shadow. He is survived by his wife Maggie Crawford Rhaburn. Brothers: Cordel Rhaburn, and the the late Alvan Rhaburn, and Clinton Crawford. Sisters: Mrs. Emma Rhaburn Westby of Crooked Tree Village, Mrs. Isa Rhaburn Matthews of Miami, Florida, and the late Ms. Illa Rhaburn. He is also survived by 5 grand-children and a host of nieces and nephews. On Friday, December 30, 2011 the body will be borne by relatives and friends for funeral services at the Crooked Tree Baptist Church at 2:00 p.m. with burial at the Crooked Tree Village Cemetery. Pastor Maurice Westby and Brother Joel Westby will be conducting the funeral sermon. Pastor Owen Rhaburn was a well respected man in our village. He performed a lot of weddings, blessing of babies and also funerals. He was well known through out our village and Belize. It is sad to hear of his passing but also happy because he is going home to be with his Lord and Savior. He lived a long full life on this earth and now he is free of pain and suffering. May his soul R.I.P.